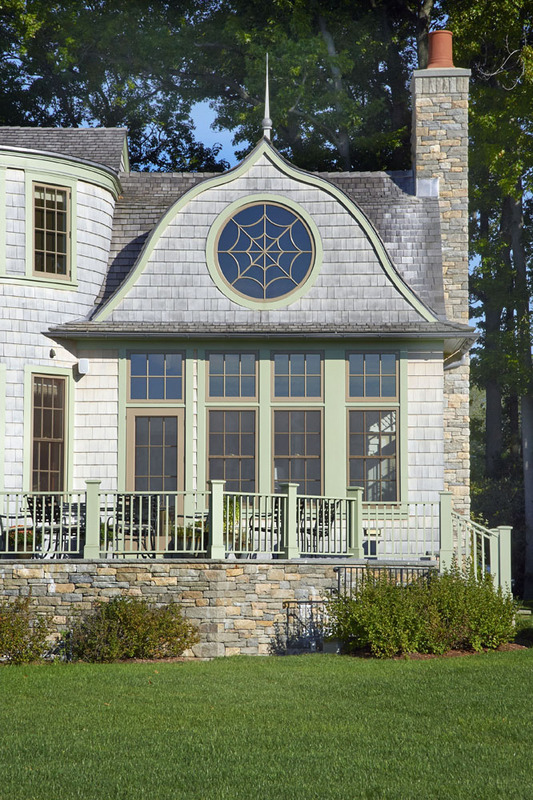 The site is a stunning one directly overlooking a rocky Long Island Sound inlet. 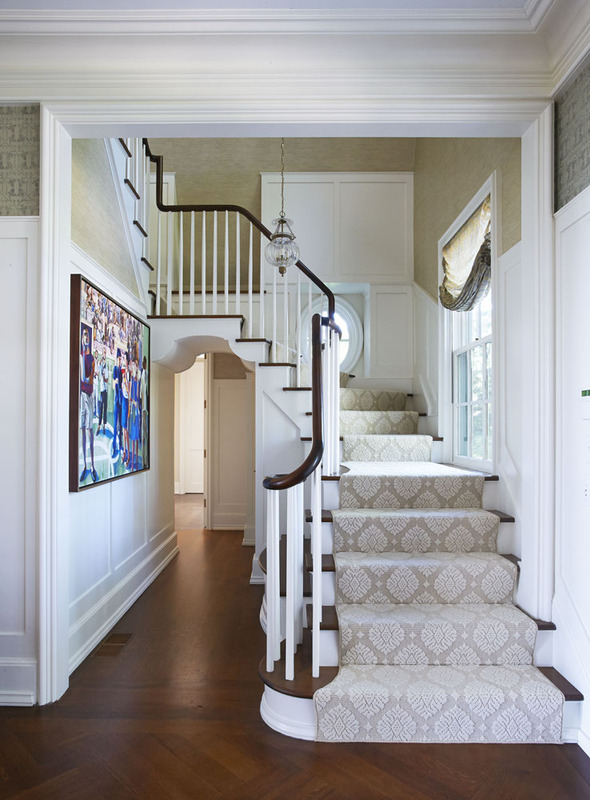 High ground posed an ideal location for this new 6,100 square-foot house. 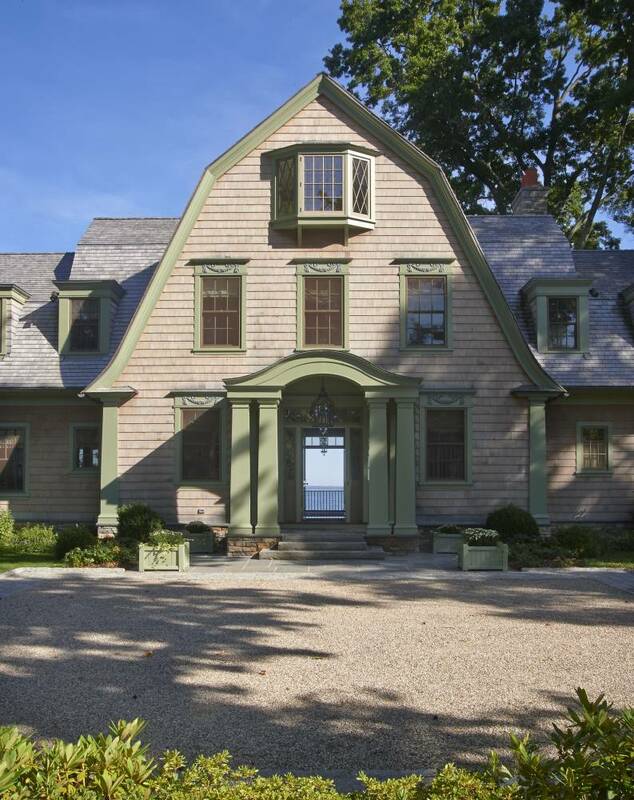 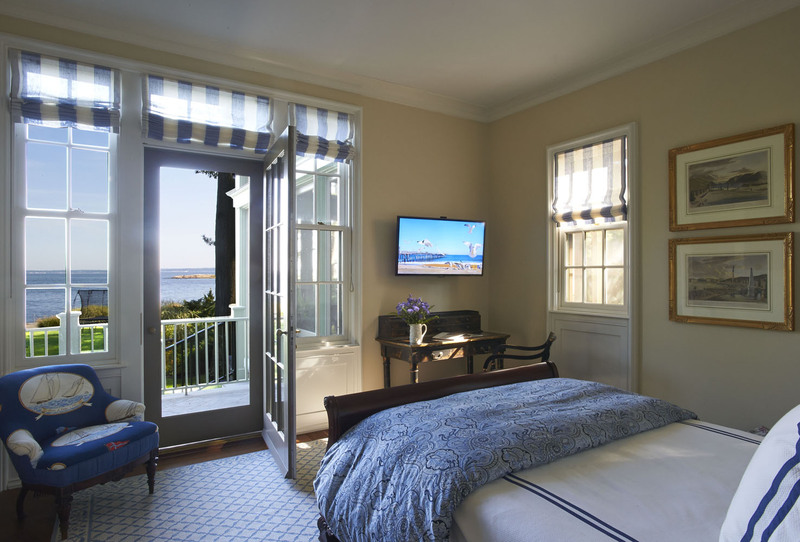 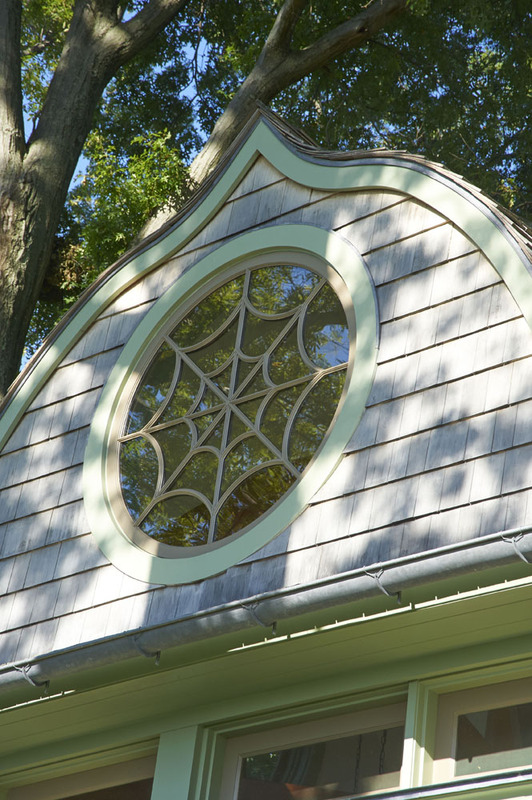 Designed in the shore colonial shingle style, the house features many classic shingle details: curved roofs, rope frieze on the front windows, porches, and windows seats, all designed with the intent of encouraging a relaxed informal lifestyle. 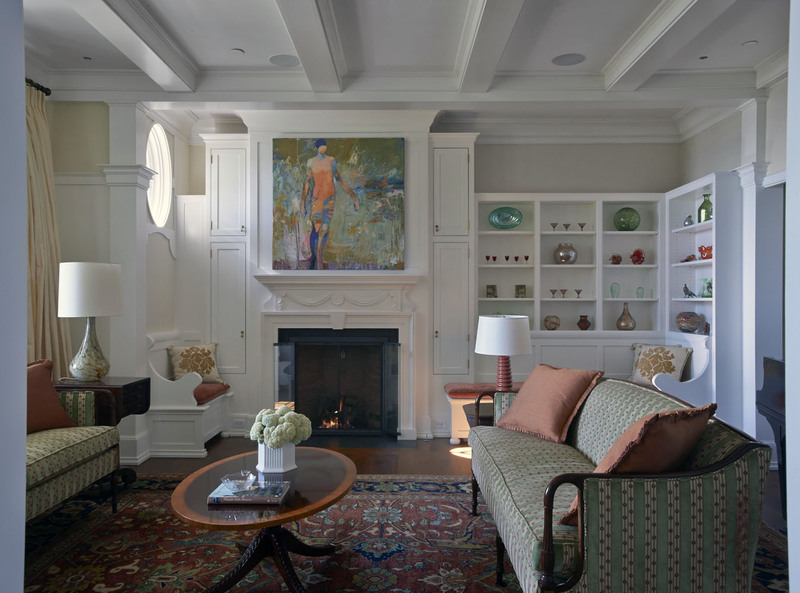 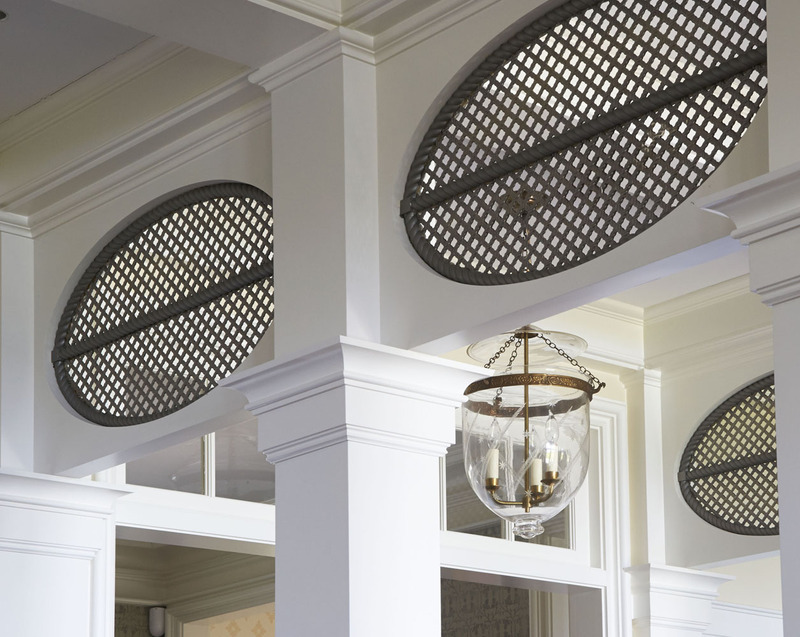 An articulated trim system in the more formal public spaces complements the homeowner’s collection of art and antiques. 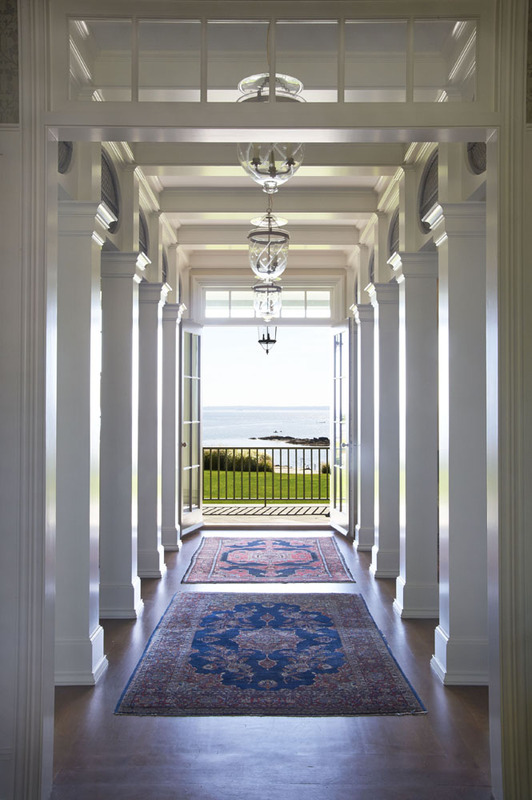 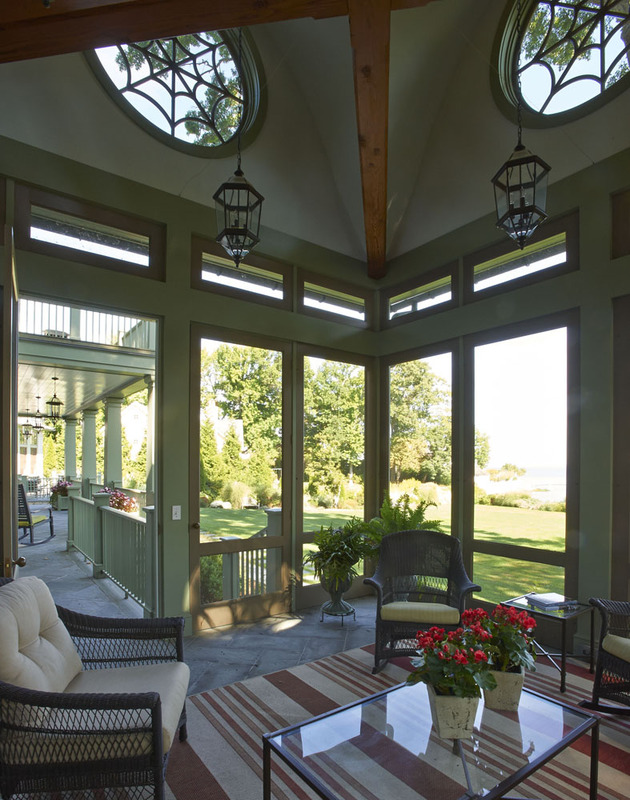 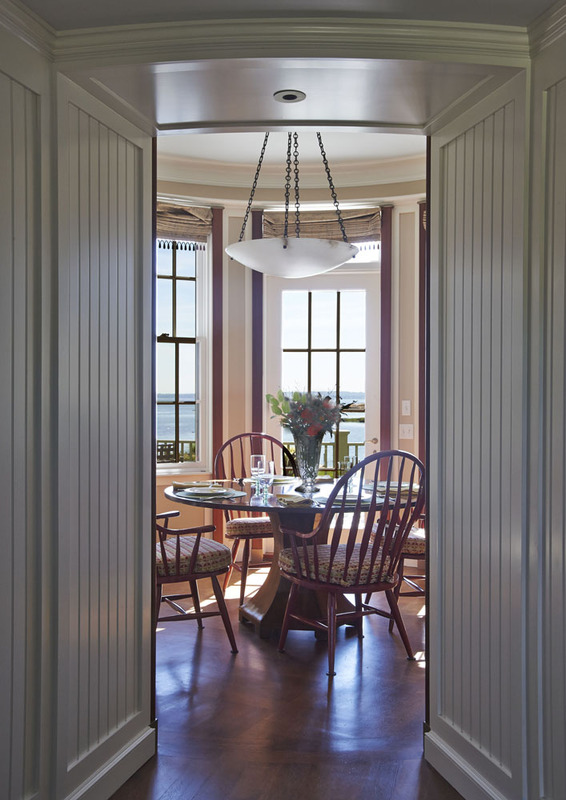 A series of columns at the entry leads to the water view and serves to both connect and divide the living and dining rooms. 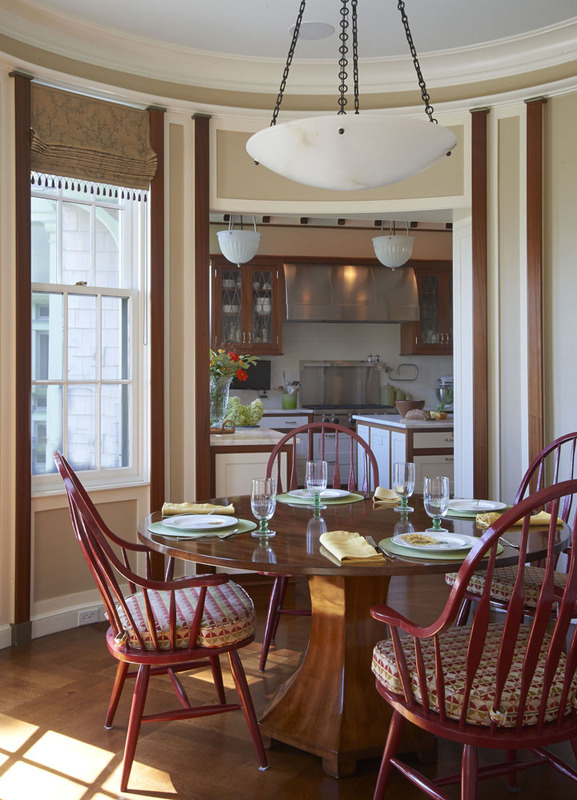 The architecture of the more informal family living area - kitchen, breakfast room and family room - reveals the homeowner’s nautical interest with mahogany trim.